BROOKHAVEN: Beautiful 4 Bed 2.5 Bath Home in CG Neighborhood w 3 Car Attached Garage. The 2-Story Entry-Way Invites You In To This Well Maintained Home. Large Eat-In Kitchen Boasts Center Island, 42” Cabinets, Upgraded Countertops, & Extra Floor Space For A Bakers Rack Or Bar. Great Room Showcases A Gas Fireplace. 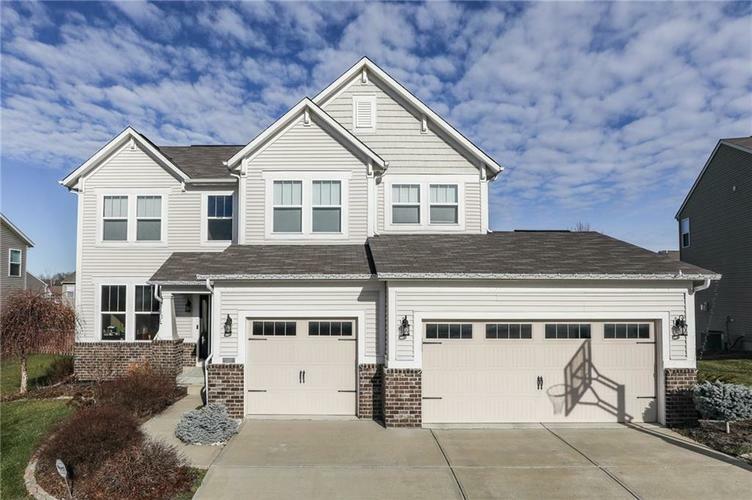 Upstairs Features Large Loft That Overlooks 2-Story Entry & A Large Master Suite That Includes Dual Sinks & A Tiled Walk-In Shower w Built-in Seat. The Daylight Basement Is Partially Finished w A Third Living Space, Is Plumbed For An Additional Bathroom, & Is Ready to Add 5th Bedroom. Outside You Will Find a Gorgeous Deck w Incredible Storage Underneath, Built-In Seating, New Fence That Was Installed in 2017, & Built-In Fire pit. Directions:From 465 and 37, go south on 37 and turn left on to County Rd 900 N/Smith Valley Rd. Go to County Rd 550 W/S Paddock Rd and turn right. Take to Havenridge Pass and turn left - home is on left.